Everyone wants beautiful, smooth-looking skin. You want the comfort of knowing that your skin is well taken care of, and using high-quality skin care products is the best way to do that. Sanseti Skin Care products are making waves around social media, arousing stellar customer feedback. But, unfortunately, not everyone has the luxury of experimenting with every new skin care line that pops up, especially people with sensitive skin. If you do have sensitive skin and are wondering if Sanseti Skin Care will help you, you’ve come to the right place. Read on to find out why Sanseti will work for you! For many people, sensitive skin is not a medically-diagnosed condition in itself. You won’t receive a call from your doctor, telling you that “your results are in and you have sensitive skin.” You’ll probably find out on your own after using a new brand of soap or moisturizer your friend recommends – and you end up experiencing a poor skin reaction like redness, tenderness, or itching. At the core, having sensitive skin simply means your skin is “picky” about the things it interacts with. However, it’s vitally important to take care of your body’s largest organ – your skin! Having sensitive skin can really be a burden because it imposes limitations. For example, it may limit the types of clothes you can wear because fabrics like wool can cause skin irritation. Even extreme temperature changes or weather patterns can leave your skin feeling very uncomfortable and uneasy. These limitations can make having sensitive skin very challenging to deal with. Some skin care products rarely make it any better. 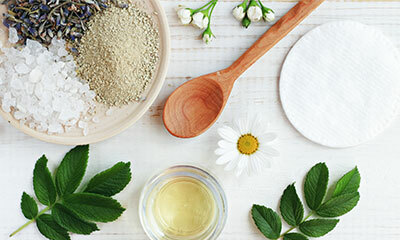 Even though those products claim to be good for you, they may actually be doing more harm than good, with many of them packed with ingredients that are abrasive to sensitive skin. Just because you have sensitive skin doesn’t mean you can’t have beautiful skin. Everyone deserves to feel beautiful in their own body, no one more so than people with sensitive skin. A sensitive skin reaction may keep you from avoiding social interactions – and no one wants that. Recent improvements in science and technology show that more and more brands are utilizing improved research methods to identify the best ingredients (and perfected formulations) that can produce the flawless skin look we all desire. Brands like ours, Sanseti Skin Care, have taken the time, energy, and focus to develop high-quality skin care products – with those suffering from sensitive skin in mind. What is Sanseti Skin Care? Sanseti is a global brand with a line of skin care products developed with the sole purpose of maintaining and restoring your skin, giving it an amazingly youthful glow. With roots deep in research and product development, we developed formulations that consist mainly of vitamins, proteins, and organic fruit extracts that are scientifically-proven to improve skin consistency and appearance. The result is a line of high-quality products that does exactly what it says. Sanseti Skin Care products are supported by extensive scientific research. The scientific process is the most objective test of reliance and effectiveness, and that is why Sanseti Skin Care subjected its products to rigorous scientific testing. Aimed at determining what ingredients are best for the each product (and whether or not they actually work as described), the process is specifically structured to deliver the best product we can possibly offer. It’s no wonder we boast of a 44% reduction in deep wrinkles, with 65% of subjects noting a decrease in eye bag thickness, and as much as 90% of users agreeing that it improves overall appearance with time and dedicated use. Sanseti Skin Care uses the best ingredients in all its products. It is now common knowledge that organic and naturally-existing substances are what’s best for the human body, as “unclean” ingredients have been known to lead to all sorts of complications, including cancer. Sanseti is the preferred choice when it comes to skin and body care. Its products contain naturally-occurring acids and extracts. Sanseti is full of ingredients like glycolic acid, jojoba beads, acetyl hexapeptide-3, sodium hyaluronate, vitamins, amino acids, and antioxidants. It’s even cruelty-free! It is also note worthy that prescriptions for clearing up skin conditions also have these exact ingredients – without having to go to your dermatologist. Cleansing: Very often, impurities get trapped within the skin, inflaming the pores and giving the skin a rough appearance. Sanseti products are designed to extract impurities from the skin and keep the skin clean and smooth. Moisturizing: Loaded with vitamins that saturate the skin with moisture while detoxifying the cells, Sanseti keeps the skin soft and tender. Tightening: Sanseti relaxes wrinkle-forming muscles while keeping them toned and firm. The result is a consistent skin that gives off a radiant glow. Sanseti Skin Care offers a full refund policy: We are so proud of our product line that we offer a full refund policy if you are unsatisfied. That’s right, if you use Sanseti and it doesn’t do all it claims to, you can ask for your money back, as indicated on our website. Having sensitive skin can be tough, especially when choosing skin care products. However, we hope that all the research and work we’ve put into building our products will be a blessing for those who have been seeking a solution to their sensitive skin. Sanseti is a worldwide skin care brand offering clinically proven, safe, and effective skin care solutions reaching women and men of every kind. Our goal is to nourish, maintain, and restore your skin to help it glow with a radiant beauty so you can always look your best. Formulated to delight the senses and deliver beautiful results, we design products powered by the best that science and technology have to offer, but rooted in the power and beauty that can be found in nature.